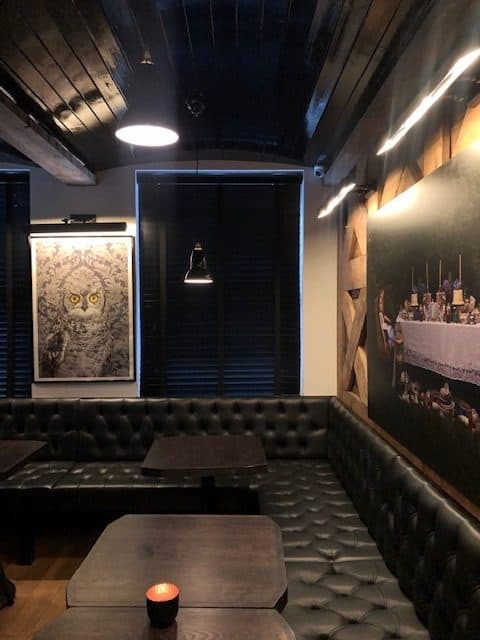 Award winning New York haunt, Redfarm, has opened its playful contemporary Chinese restaurant in Covent Garden to Londonders! 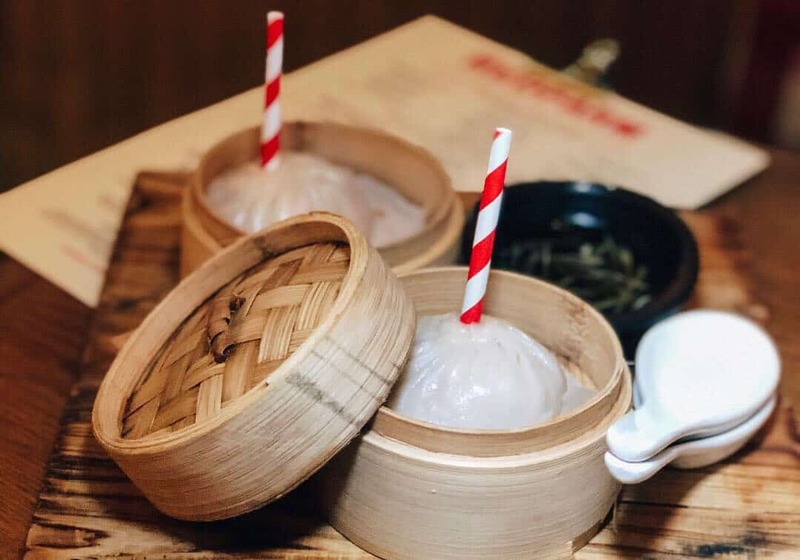 With dim-sum extraordinaire Chef Joe Ng and Chinese culinary expert and Ed Schoenfeld at the helm, it is bound to be a winner. 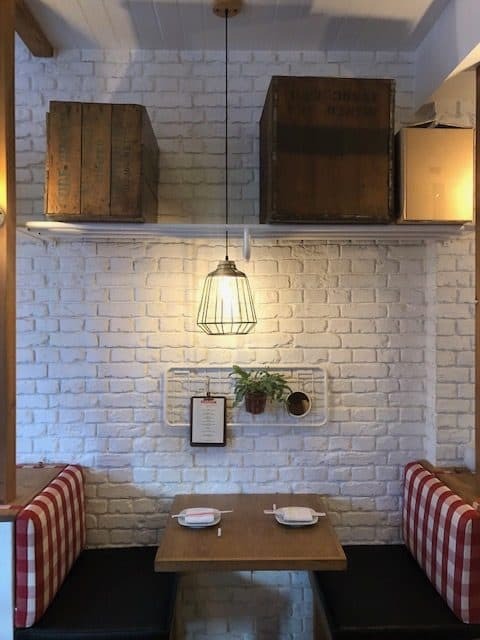 In the heart of Covent Garden Piazza, Redfarm has an airy and contemporary feel with gingham booths and whitewashed exposed brickwork. Toots ‘n’ Hoots cocktail bar named after its resident decorative owls sits at the top of Redfarm. It is a hidden and intimate drinking den with the lovely Frank at the helm serving up great cocktails. The menu gives you guidance on what cocktails to choose: strong, smooth or easy. We had a chat with Frank and ended up going with his recommendations. 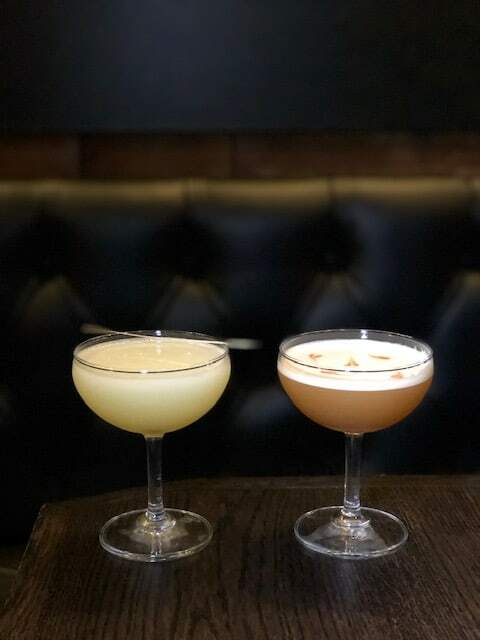 The Spotted Wood: Cognanc, Angostura Bitters, Cardamom, Pineapple, Lemon and the Seldom in the Daylight: Gin, Bergamot, Lemongrass, Cucumber, Lemon, Agave (£13). The latter was so citrusy and zesty – a really excellent cocktail. From the starters section we tucked into the Spicy Crispy Beef (£9) and the ‘Dingley Dell’ Pork Belly (£10). The beef was light and crispy without being too spicy and the pork belly was cut into thin strips and was flavoursome without being too fatty. We basically wanted to order the entire Dim Sum Kitchen section! A slightly unsuual dish caught our eye – the Lamb Dumplings in Thai Curry (£11). The curry sauce was punchy but not too hot and the dumplings were packed with filling and flavour. 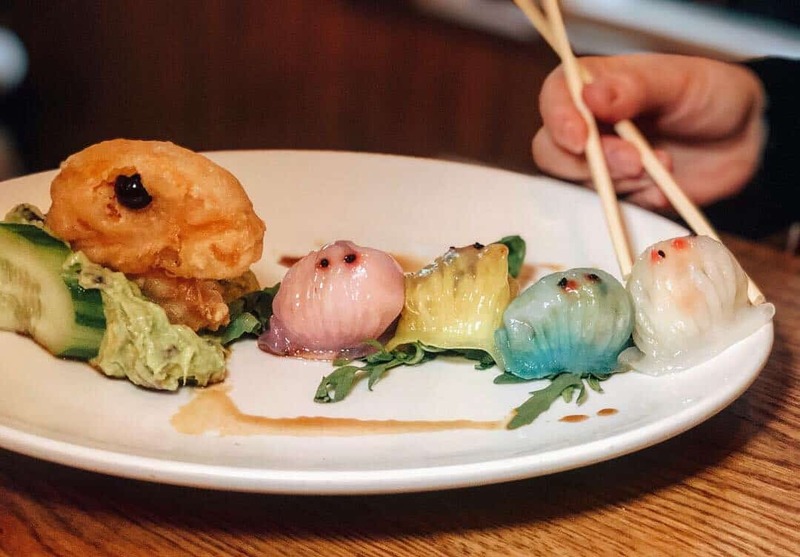 We had to try the staple playful dish of Pac Man Shrimp Dumplings (£12). So let’s start with the head which is crispy sweet potato on a bed of guacamole. Pacman then chased Blinky (red lobster and ginger), Clyde (yellow curry), Inky (crab and coriander) and Pinky (white bamboo shoots). Obviously the dish looks great and thankfully it was not style over substance. Lastly, we loved the Pork and Crab Soup Dumplings (xiaolongbao) (£8). 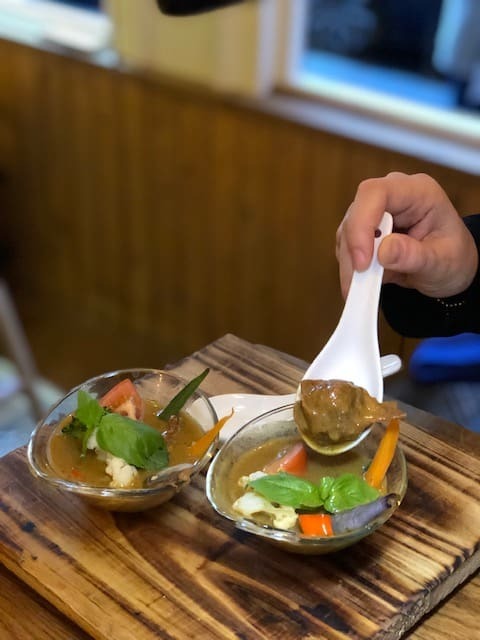 Served with straws is such a great idea as we have definitely made a mess with hot soup broth previously…! 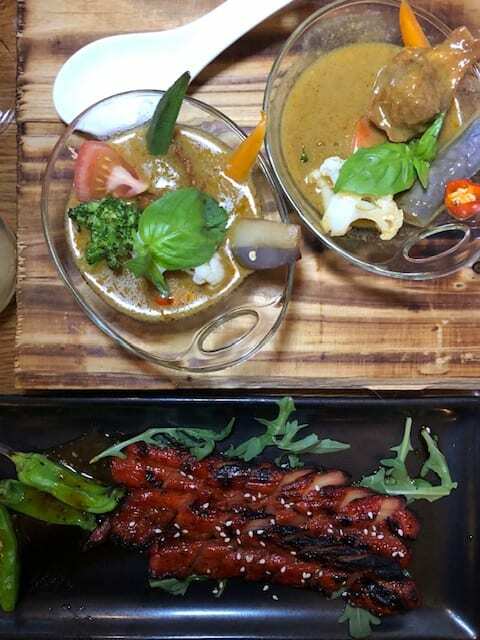 The flavours were rich and delicious and it was one of the best dishes. We loved the starters and dim sum selection so we did not choose any main dishes. One word of warning though is these generally come with a large price tag (£20-35) so order carefully. 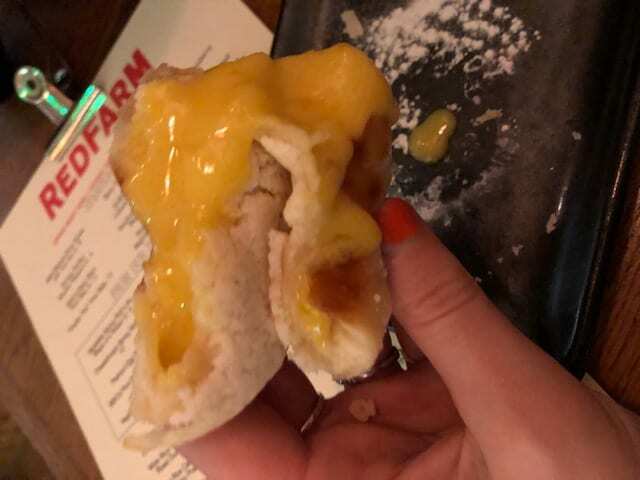 We also wanted to save room for the epic custard bao (£8 for 2). They were packed with custard filling served hot and were the perfect end to a meal. 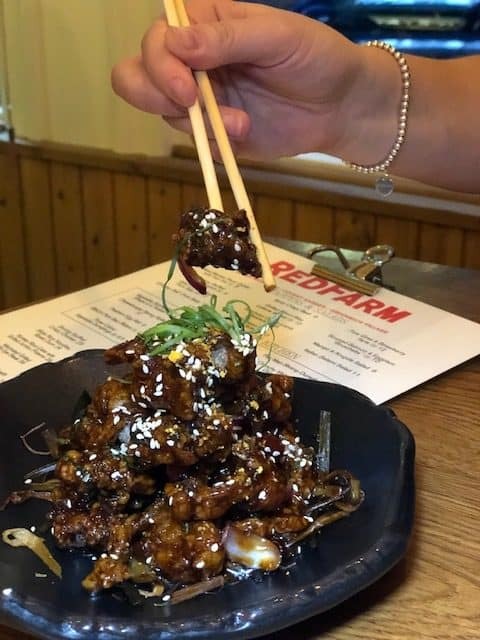 Redfarm is a great new contemporary Chinese restaurant in Covent Garden offering a whole host of inventive dishes. 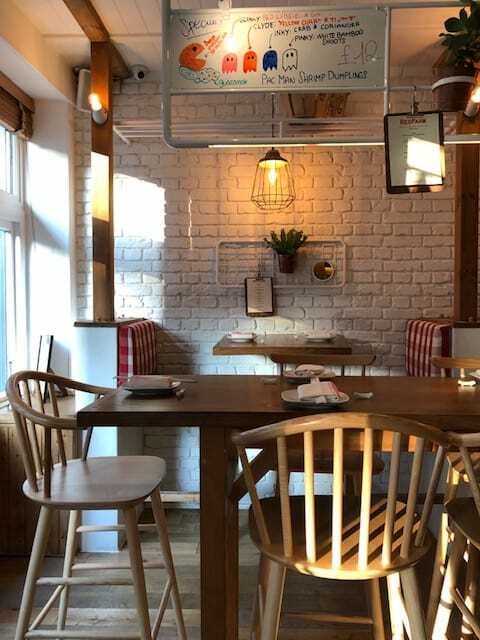 The atmosphere is relaxed, staff were generally friendly (especially Frank!) and the food was great. Depending what you order, the dishes can add up so make good choices!